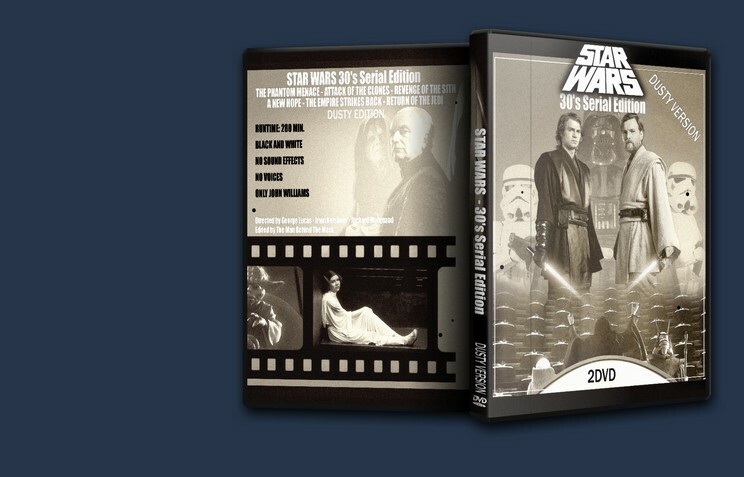 This is an old looking, dusty version of the Star Wars Original Trilogy saga. 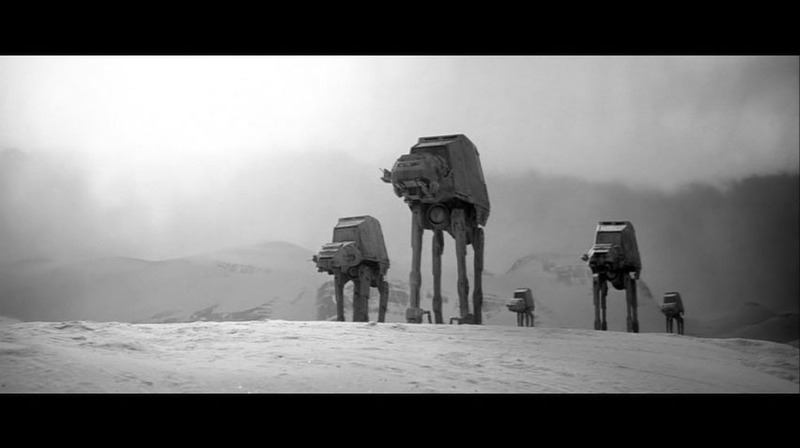 No voices, but dialogue cards, no sound effects, but only John Williams music. 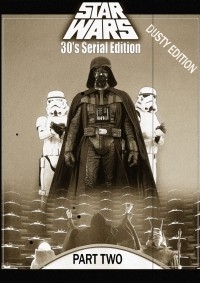 Take my Star Wars 30′s serial edition and make it look old. 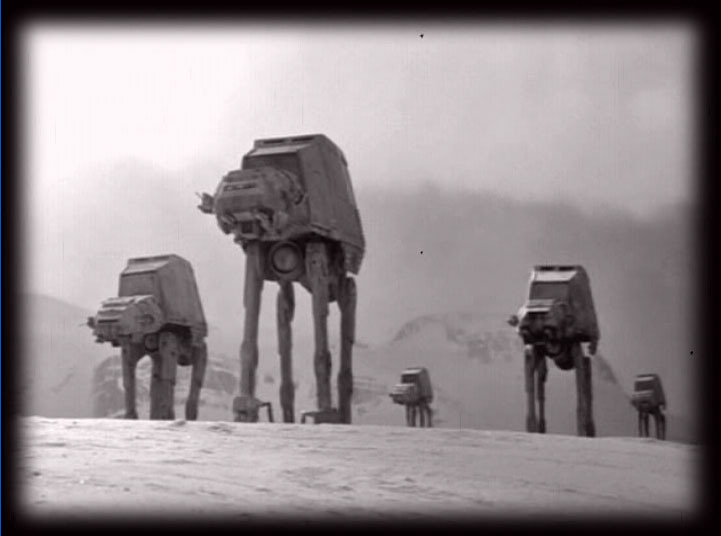 Even before the release of my Star Wars 30′s serial edition (or silent edition) the thought of doing an old looking, dusty version of this edit came to me. 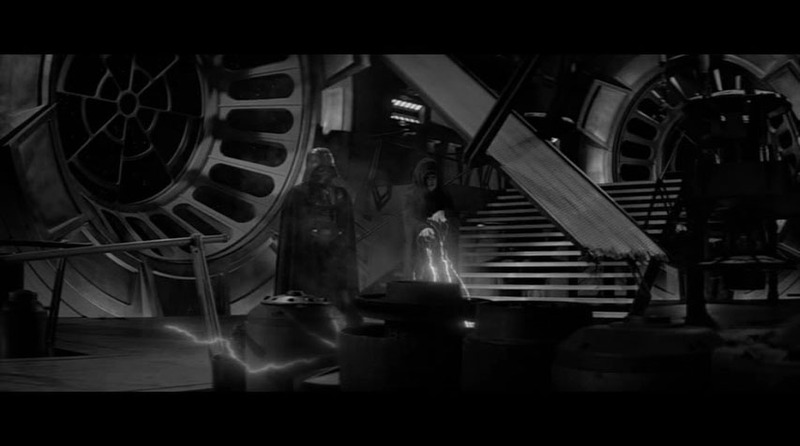 I wanted a simple, clean, black and white, 16:9 release first, but to complete the idea of an old silent edition of Star Wars a little more work had to be done. First I did not want to go too far in the changing process, but after some talkings at OT.com (thanks to you all) I began to realize that since a clean version was already available, this new “dusty” version needed to be quite different. - Multiple Premiere Pro filters added to the picture, including a 18 frames per second filter. - Noises, scratches, vignetting, bluring effects added. - A simple audio menu with the choice between stereo or a “dusty” mono mix. 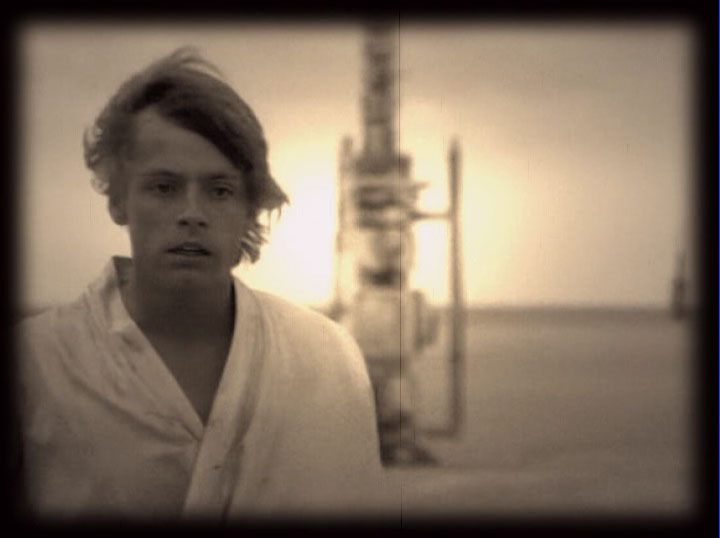 Star Wars silent serial Episode 4 from TMBTM on Vimeo. 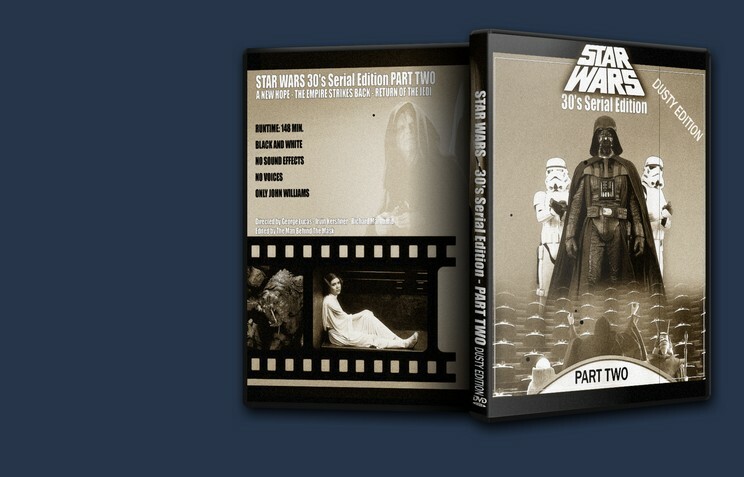 Star Wars silent serial Episode 5 from TMBTM on Vimeo. It's very difficult to improve on something that is already great and infact there are parts in this edit where you begin to miss the original cut but as an overall concept it is just great. 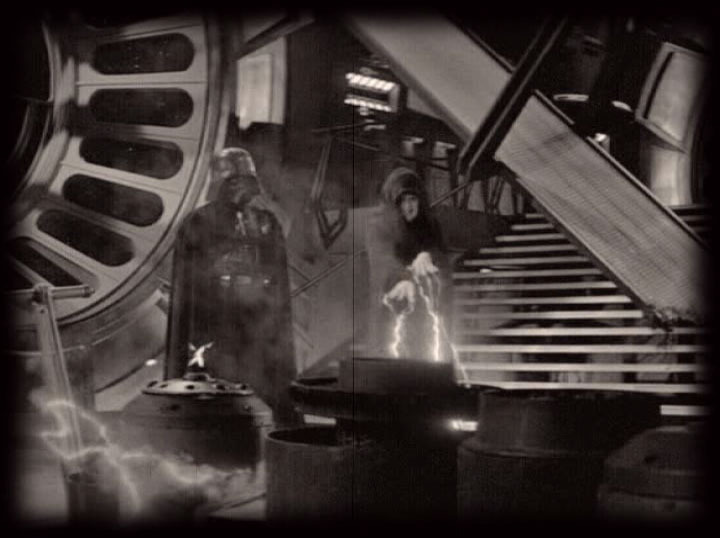 I always need to watch this back-to-back with the Pre-Qual silent film cut because when I watch it by itself it just feels out of place. 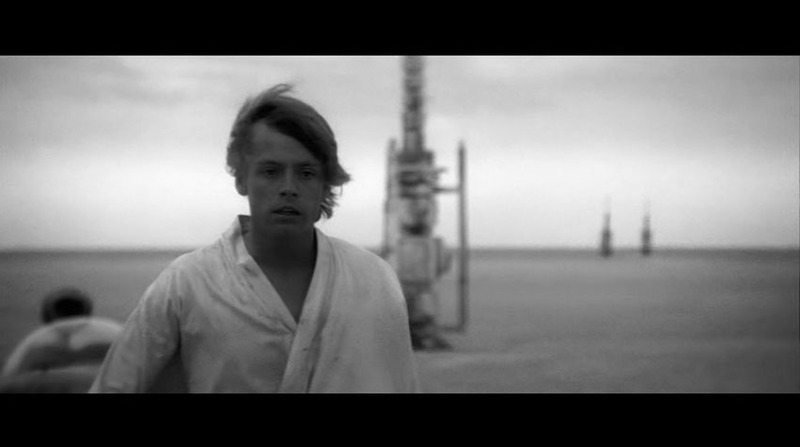 The movies are already fantastic so there isn't much to improve on but when you are in the mood for just a really unique look at Star Wars this does the trick in spades.